The Schmincke set I got for Christmas has a nice Sepia in it. I have so far just used it to quickly darken colors, but I assume the real value would be for monochromes. 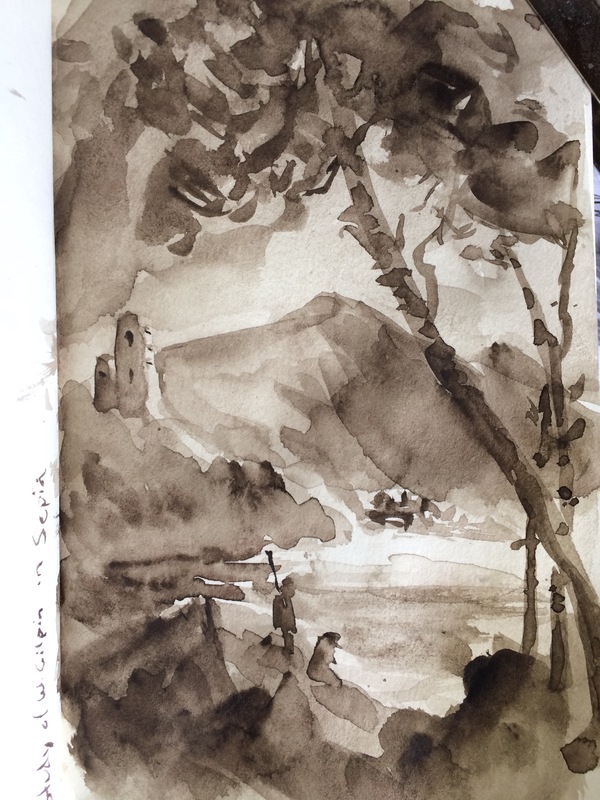 To test it out I did this loose and imprecise 4×6 study of William Gilpin’s Lanscape with Ruined Castle from 1790.